And I'm into this look from Marie-Claire France. fabulous post hun and cute brooch idea, i may just try it myself. Isabelle, you knocked my socks off again. That pic is totally awesome! 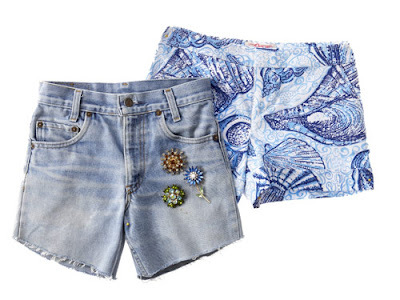 Isabelle, Love the levi cutoffs, very fun!! The sunglass is very hut and cool summer stuff.Really I appreciate your thought.